At Adams Autoworx we are a premiere Castro Valley MINI Cooper repair shop. Whether your MINI needs a simple service, or complex diagnostics and repairs, we have the tools and ASE certified technicians to get the job done. MINI Cooper has been a phenomenon for decades. Originally manufactured by the British Motor Corporation, it became legendary after the fantastic chase scenes in the 1969 classic “The Italian Job”. Currently it’s being produced by BMW, and remains as lively and fun to drive as its British predecessor. Like all vehicles, MINI requires regular service to keep it in top shape, and to extend engine life. “German engineering” notwithstanding, 2006 and 2007 Cooper S is known for occasional engine and clutch problems. 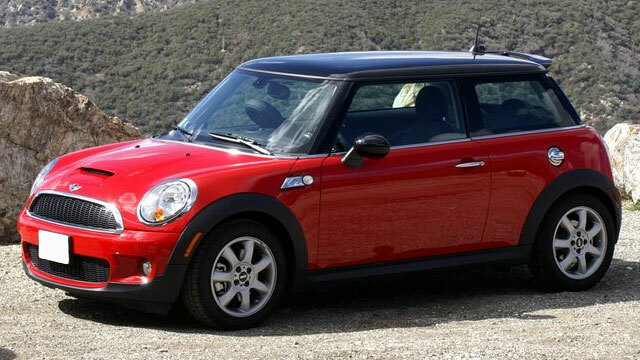 Mini Coopers built in 2005 and 2006 have had issues with power steering. But Cooper remains a fun car that’s a blast to drive. Adams Autoworx offers best Castro Valley Mini Cooper service and repair - if your car needs service, bring your Mini to us – we offer free shuttle within Castro Valley, and if your Mini needs to stay in the shop overnight, we will arrange for a rental car. Adams Autoworx has been serving Castro Valley residents for over fifty years and 3 generations. We are experts at MINI repair. Being a family owned shop, we are not beholden to some huge, faceless corporation - we set standard of service higher than the dealers. Come by and experience the difference - we partner with you to "Maximize Your Transportation Dollar".